In April 2008, the Fagans, through their LLCs, entered into five year Franchise Agreements with AFI to open Anytime Fitness centers at three Las Vegas valley locations. The agreements each contained a forum selection clause choosing Minnesota as the sole forum for litigating disputes under the Agreement. According to the complaint, as a franchisee of the Anytime Fitness “System,” the Fagans received information and know-how about operating a largely unstaffed 24-hour co-ed fitness center (with a limited “menu” of services that purportedly allows AFI’s business model to succeed where others have failed). The Agreements included a covenant not to compete whereby the Fagans agreed that during the term of the Agreements, they would not start a competing fitness center business in their protected territory or within five miles of any Anytime Fitness location. The Agreements also gave the Fagans the right to use AFI’s trademarks in the promotion of their franchised locations. Apparently, sometime in April 2009, AFI showed Lawrence Fagan a closed Anytime Fitness center location at 6300 West Charleston Blvd. in Las Vegas to see if he would be interested in taking over that location. The landlord had purchased the equipment from the former franchisee and had apparently been speaking with Fagan about reopening the center. Fagan declined AFI’s offer to open an Anytime Fitness location at this Charleston location. Then, according to AFI, the Fagans turned around and began operating a fitness center at this location on Charleston under the name Lifestyle Fitness 24/7 (“Lifestyle Fitness”). Of course, according to the City of Las Vegas, the business license for the Lifestyle Fitness located on Charleston is in the name of Anthony Pasquale and was issued on July 23, 2009. [Of course, his own Linked-In page states that he is a co-owner and the City of Las Vegas’ records also reflect his title as President 100% although there is no indication of a corporation as owner]. AFI further alleges that the Fagans are planning on allowing members of its three Anytime Fitness locations access to their two Lifestyle Fitness centers. AFI also asserts that the Fagans are informing the members at their Anytime Fitness locations that they will either be converted to Lifestyle Fitness centers or closed down (and such members transferred to their Warm Springs & Durango location). Finally, AFI claims that the Fagans are soliciting employees and members at their existing Anytime Fitness locations to come over to their Lifestyle Fitness locations. AFI sent a letter to the Fagans on August 7, 2009, reminding them of their non-compete obligations under the Franchise Agreements and demanding that they cease any competition. The Fagans responded to AFI’s letter with an e-mail on August 17, 2009, but apparently did not address the issue of whether they were competing with AFI. AFI responded to this e-mail with two specific questions about any involvement by the Fagans with the Charleston location or any other fitness center in Las Vegas. The Fagans answered “No” to both questions on August 19, 2009. Apparently, AFI did not believe the Fagans’ answers. AFI’s causes of action are for breach of contract, federal and common trademark infringement, federal and common law unfair competition, violations of Minnesota’s deceptive trade practices act and unlawful trade practices act, unjust enrichment, misappropriation of trade secrets, and tortious interference with contractual relations and prospective economic relations. AFI is seeking the usual injunctive relief and damages (actual and treble), as well as costs and attorneys fees. Arnold Products, Inc. (“Arnold”), a company known for its premium bread products (and which is part of the Bimbo Bakeries USA company), filed a trademark infringement lawsuit against Sara Lee Corporation (“Sara Lee”) in the U.S. District Court for the Southern District of California. See BBU, Inc. et al v. Sara Lee Corporation, et al., Case No. 09-cv-01787 (S.D. Cal. Filed August 17, 2009). A copy of the complaint can be downloaded here. 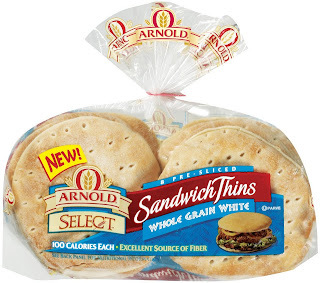 One of Arnold’s products is a sandwich-sized flatbread (a supposed healthier alternative to a traditional bread bun) which Arnold markets under the name “Sandwich Thins” (and sometimes under the brand name Oroweat instead of Arnold). On June 16, 2009, Arnold registered the mark SANDWICH THINS (SANDWICH disclaimed) for “Bread” with the U.S. Patent and Trademark Office. According to the complaint, Sara Lee recently sent out some marketing information to grocery stores nationwide promoting a similar sandwich-size flatbread product under the marks SANDWICH THINS and THINS marks that Sara Lee was planning to launch on September 14, 2009 (pictures can be seen on page 6 of the complaint although they are not very clear). Sara Lee’s advertisements even mentioned how Arnold’s products have established public awareness about such flatbread sandwich products. Arnold claims that Sara Lee’s imminent use of the marks SANDWICH THINS and THINS in connection with the intended sandwich-sized flatbread goods, is likely to cause confusion with Arnold’s registered mark and will trade on the goodwill Arnold has established in the SANDWICH THINS mark. So does Arnold have a “thin” trademark infringement case? Or is this another example of a company being on the forefront of establishing a particular brand name for a product and a competitor trying to trade on such goodwill with its own competing product? ARS Technica reports on the “end of domain tasting” after the implementation of ICAAN’s most recent excessive cancellation penalty of $6.75 per withdrawn domain name. ICAAN’s report on the results of its new policy can be downloaded here. It never ceases to amaze me how events in the news will drive enterprising individuals to file for trademark protection on some phrase that has captured the public's attention with visions of grandeur of having an exclusive monopoly on said phrase (typically in connection with using the phrase on a t-shirt). On July 24, 2009, Cultural Communications LLC filed a trademark registraiton application with the U.S. Patent and Trademark Office (“PTO”) to register the mark WISE LATINA for the following goods: “Full line of clothing, footwear, and headgear, namely, aprons, bandanas, bathing suits, bathrobes, beachwear, belts, body shapers, bottoms, caps, coats, dresses, ear muffs, earbands, footwear, gloves, hats, head wear, infant wear, jackets, jeans, lingerie, neckwear, nightwear, pajamas, pants, rainwear, robes, shirts, shoes, shorts, skirts, sleepwear, slippers, socks, stockings, suits, suspenders, sweaters, swimwear, tops, undergarments, underwear, and vests.” The basis of the application was use-in-commerce with first use date in commerce of July 24, 2009. Of course, what I find most interesting about this application is the specimen submitted to the PTO (see picture below) in order to show use of the mark WISE LATINA as a trademark identifying the clothing goods. If you look closely, the shirt's tag reads “American Apparel.” So is this a “Wise Latina” brand t-shirt or is this just an “American Apparel” brand t-shirt that someone emblazoned with the ornamentation “Wise Latina”? In addition, this is just a picture of t-shirt. While the PTO does not require an applicant to submit specimens showing use of the mark in connection with all of the goods listed in the application, in order for the application to not be deemed fraudulent, the applicant must still be using the mark in connection with all of the goods listed . . .or else the ultimate trademark registration (if it issues with goods on which the mark was not being used at the time of filing) is tainted by fraud. Do you think that Cultural Communications was really using the mark WISE LATINA as a mark (and not just ornamental use) in connection with all of the clothing items listed in the application? And finally, does the trademark applicant in these circumstances really believe that a trademark registration for the mark WISE LATINA in connection with clothing is really going to be able to stop other people from printing t-shirts emblazoned with the words WISE LATINA (with most consumers associating that phrase more with Justice Sotomayor’s now famous quote than with a particular seller of goods)? 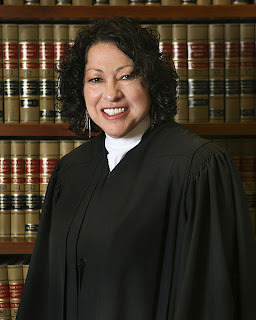 Justice Sotomayor practiced in the area of trademark law before moving to the judiciary. What do you think her thoughts would be regarding this application? 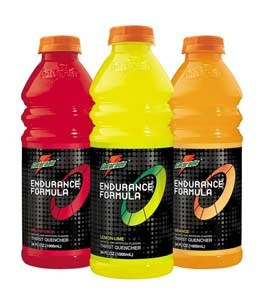 I previously wrote (link here) about the false advertising lawsuit filed in U.S. District Court for the Southern District of New York by Stokely-Van Camp, Inc. (owned by Quaker Oats which is controlled by PepsiCo Inc.) – the maker of the Gatorade energy drink – against The Coca-Cola Co. and its energy drink division, Energy Brands Inc. , which makes the Powerade energy drink. On Tuesday, a U.S. District Court denied Pepsi’s Motion for Preliminary Injunction after determining that Pepsi had not shown either a likelihood of irreparable injury or a likelihood of success on the merits. See Stokely-Van Camp, Inc. v. The Coca-Cola Company et al., Case No. 09-03741 (S.D.N.Y. August 4, 2009). A copy of the 54 page decision can be downloaded here. Reuters and Courthousenews both ran news coverage of the decision. Of course, both sides have their own spin on the outcome. 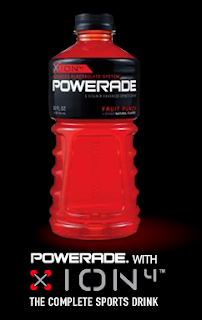 Coke described the decision as “a complete win” for its sports drink [ed. - leave it to PR people to turn a legal decision into a product endorsement]. On the other hand, Pepsi notes that Coke stopped its “disparaging claims” against Gatorade in its advertising (a campaign that Coke described as short-lived anyway) after the lawsuit was filed, so Pepsi feels that it accomplished what it set out to do [ed. – unless, of course, Coke decides to start the campaign back up again now that there is no threat of a preliminary injunction enjoining Coke from doing so].